Had some of this yesterday with friends and was quite impressed. It was perfect with grilled aged ribeyes and asparagus. Supertuscan style blend of predominantly Sangiovese with some Merlot and Cabernet. I’ve always been of fan of this wine, but haven’t had any in a long time. I need to rectify that problem, and get some in the eurocave. Super rich fr uit, with an elegant amost silky taste. Almost like a baby Tignanello….Owner Giampaolo Motta has really outdone himself here with this Bordeaux imagined blend. 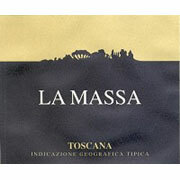 This also was #31 on Wine Spectator’s top 100 wines of 2008, 93pts. Wine Advocate gives it 90pts. Widely available in US for about $25 a bottle. In the UK try Decorum Vintners, www. decvin.com for about £15 a bottle.